This February, South Leeds Slimming World groups are celebrating what makes Slimming World different from other weight loss organisations and the difference is “free Food!” These are the foods that don’t need to be weighed or measured, can be eaten at any time of the day or night without restriction or guilt. Foods like lean meat, fish, fruit and veg, pasta, rice, eggs and potatoes, to name a few, are what members fill up on, make meals from and lose weight eating! Last year, the groups in Hunslet, Belle Ilse, Middleton and Beeston lost a total of 3,446 lbs which converts to 246 stones 2lb or 1.538 tonnes (the weight of a family car!) and we are aiming to beat this figure this February. 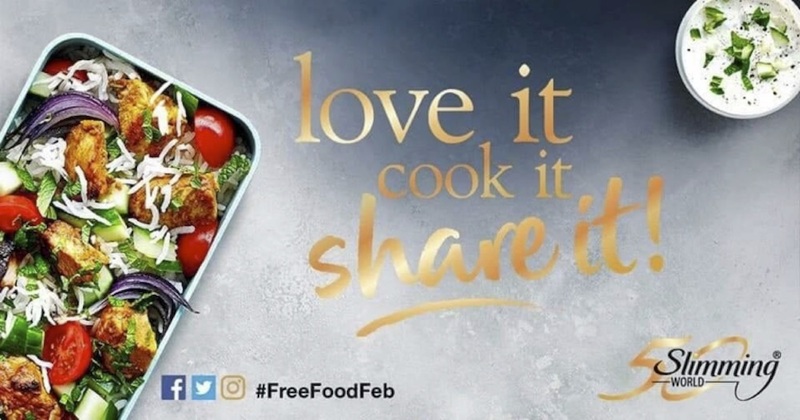 The members are encouraged to share their meals on social media with the hashtag #freefoodgold which could win them £50 or shopping vouchers or kitchen goodies. In group, members are encouraged to move away from trigger foods which are high in fat and sugar and discover a love of free foods, helping them to achieve their dream weight. They will become more equipped to manage their weight loss, 7 days a week though any event, and learn the healthy habits needed to stay that way for life. We launch our fabulous free food February on the week beginning 3 February with a party in every group celebrating what members love best – free food! All members are encouraged to bring along friends and family interested in learning more about what we eat and what happens in group with absolutely no obligation to join.